Jay C. Meiske was born and reared on a farm near Hartley, Iowa. His experiences on this general livestock farm led to his ardent interest in beef cattle. He was active in 4-H beef projects showing cattle at county fairs, and at the Iowa State Fair, Waterloo Meat Animal Show, and the Chicago International. Meiske graduated from Hartley High School (as valedictorian) in 1948 and earned his Animal Science degrees from Iowa State University (B.S., 1952), Oklahoma State University (M.S., 1953) and Michigan State University (Ph. D., 1957) with a major in Ruminant Nutrition. Dr. Meiske began his career in the Department of Animal Science, University of Minnesota in 1957. His teaching responsibilities included Introductory Animal Science, Live Animal and Carcass Evaluation, Beef Production, Ruminant Nutrition, and Beef Management Practicum. He coached the Meat Animal Evaluation Team for several years. The 1975 team won the Ak-Sar-Ben national contest. Also, Dr. Meiske was academic advisor to more than 300 undergraduate and 24 graduate students. Upon receiving their graduate degrees, students of Dr. Meiske became Animal Science faculty members at Universities of Illinois, Cornell, Oklahoma State and Minnesota as well as in many foreign countries. Others served industry as nutritionists or in international programs. In research, Dr. Meiske and his colleague, the late Dr. Richard Goodrich, collaborated to lead and coordinate beef cattle research activities, including those at the Rosemount, Crookston, Morris, Grand Rapids and Waseca branch stations. Together, they developed an outstanding beef research program, provided a stimulating environment for graduate students, and made important contributions to Minnesota Beef Extension Programs. Results of research and important topics of the day were presented annually to beef producers at Minnesota Cattle Feeders’ Day and Cow-Calf Day meetings. Wide acceptance of these Minnesota Cattle Feeders’ Day and Cow-Calf Day Reports by producers and animal scientists across the country attests to the importance and credibility of the research. Dr. Meiske authored or co-authored over 400 Feeders’ Day reports and Cow-Calf Day reports, 80 refereed scientific journal papers, 151 abstracts presented at scientific meetings, 10 extension and experiment station bulletins, 75 printed papers for conferences, and 3 chapters in nutrition texts. Invited presentations were made to conferences in Montana, Missouri, Iowa, Illinois, Indiana, Oklahoma, Texas and Manitoba, as well as Minnesota. He was also invited to present papers to groups in Switzerland, Italy, Cuba, Mexico, and Egypt. For several years, he served on the Editorial Board of the Journal of Animal Science and as Section Editor of Ruminant Nutrition research papers. For over 30 years until retirement, Dr. Meiske’s responsibilities included management of the University of Minnesota beef cattle herd. Some breeding animals were sold privately and at state and national sales. Angus was the primary breed; however, Polled Hereford, Shorthorn, Charolais, Chianina, Limousin, and Marchigiana breeds were also used to facilitate teaching and judging programs. Ancillary activities included judging livestock at several county 4-H fairs and breeder shows in Minnesota and Wisconsin. He aided several beef breeders to participate in breed improvement programs by weighing and grading cattle at their farms. Dr. Meiske also served as Assistant in the Horse and Cattle Departments at the Minnesota State Fair, and was one of two evaluators of live steers in the State Fair Carcass Beef Show for several years. In recognition of his service to Animal Science and breed associations, the American Society of Animal Science presented Dr. Meiske with the Merck Animal Management Award in 1977. He was named a Fellow of the American Society of Animal Science in 1991 The Minnesota Angus Association honored him for his contributions to animal agriculture in 1998. 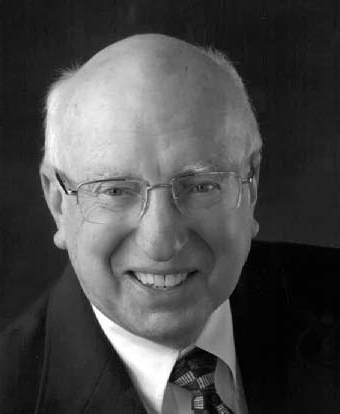 After a 38-year career at the University of Minnesota, Dr. Meiske retired in 1995. He was inducted into the Minnesota Livestock Hall of Fame in 2011.